We pride ourselves on providing the best possible experience for our students - building on over 250 years of innovation and keeping pace with the health challenges of a changing NHS. Our dedication to students, staff and alumni is built on a commitment we share with them in improving and advancing health. We are proud of our diversity, offering students from a wide range of backgrounds the opportunity to work and study on a health campus reflecting the full range of healthcare professions. 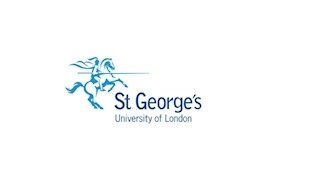 St George’s is the UK’s only university dedicated to medical and health sciences education, training and research. Our distinctiveness is based on our exclusive focus on health sciences and medicine and we strive to bring an innovative and collaborative approach to all we do. We provide a world-class multi-professional health sciences education that equips our graduates to meet today’s healthcare needs through relevant scientific research, clinical excellence, strong interpersonal skills and team-based working. Sharing a clinical environment with a major London teaching hospital, our innovative approach to education results in well-rounded, highly skilled clinicians, scientists, and health and social care professionals. We also work closely with healthcare providers throughout south London to ensure that our courses reflect latest clinical practices and that our students benefit from diverse clinical placement opportunities. The wealth of clinical experience available is one of the reasons why St George’s continues to be so popular with students. The Faculty of Health, Social Care and Education that we run in partnership with Kingston University teaches courses including nursing, midwifery, radiography, paramedic science, physiotherapy and social work. Our programmes are rigorous but we pride ourselves on the personal support we provide our students, ensuring they become first-rate clinicians and scientists, with their feet firmly on the ground. We believe everyone should be able to access the benefits of biomedical discovery and that research should be an integral part of the training and education of healthcare professionals. We have more than 250 years of excellence and innovation in research and education resulting in groundbreaking advances in medicine and healthcare. Our alumni include Edward Jenner, John Hunter, Muriel Powell and Patrick Steptoe. Our three research institutes focus on biomedical and scientific discovery, advancing the prevention and treatment of disease in the fields of population health, heart disease and infection - three of the greatest challenges to global health in the 21st century. We are committed to developing public understanding and involvement in our research programmes and actively contribute to partnerships across London, linking students and researchers to practitioners and employers across the region. Our purpose is to develop people who meet today’s healthcare needs and tomorrow’s healthcare challenges and we warmly welcome students who share our values, energy and ambition.